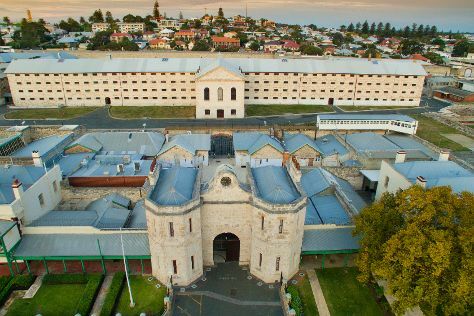 Your cultural itinerary includes sights like Fremantle Prison and Western Australian Maritime Museum. Visiting Cottesloe Beach and Swan River will get you outdoors. Get out of town with these interesting Perth side-trips: Rockingham (Lake Richmond, Penguin Island, & more), Waikiki Beach (in Safety Bay) and Fremantle (Fremantle History Walking Tour, South Beach Recreation Reserve, & more). Dedicate the 9th (Tue) to wine at some of the top wineries in the area. Spend the 16th (Tue) exploring nature at Len Howard Conservation Park. There's lots more to do: see majestic marine mammals with a dolphin and whale watching tour, enjoy the sand and surf at Trigg Beach, get to know the resident critters at Perth Zoo, and tour the pleasant surroundings at Mullaloo Beach. For reviews, photos, more things to do, and other tourist information, you can read our Perth tour itinerary planner . July in Perth sees daily highs of 21°C and lows of 8°C at night. Wrap up your sightseeing on the 29th (Thu) early enough to travel back home.